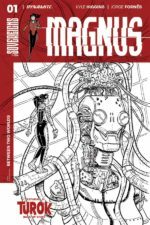 Dynamite Entertainment has announced that Magnus, the comic book series returns with an all-new interpretation of the character courtesy of writer Kyle Higgins (Mighty Morphin Power Rangers) and artist Jorge Fornés (Amazing X-Men). 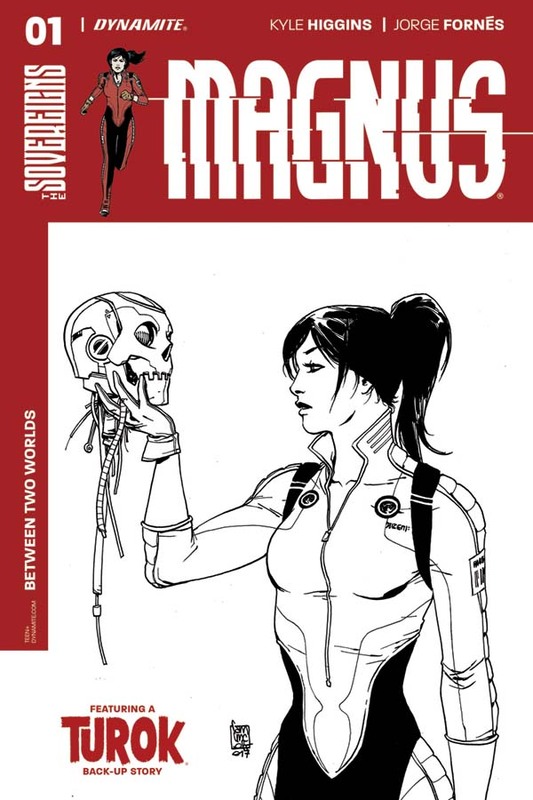 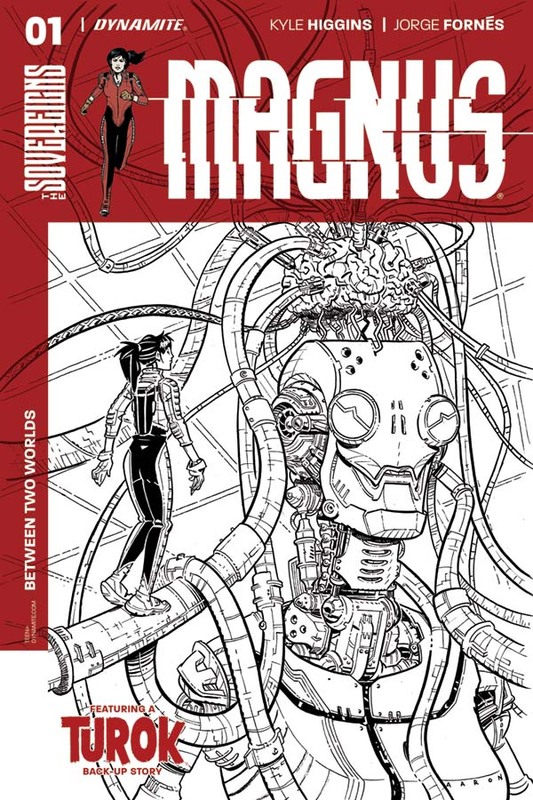 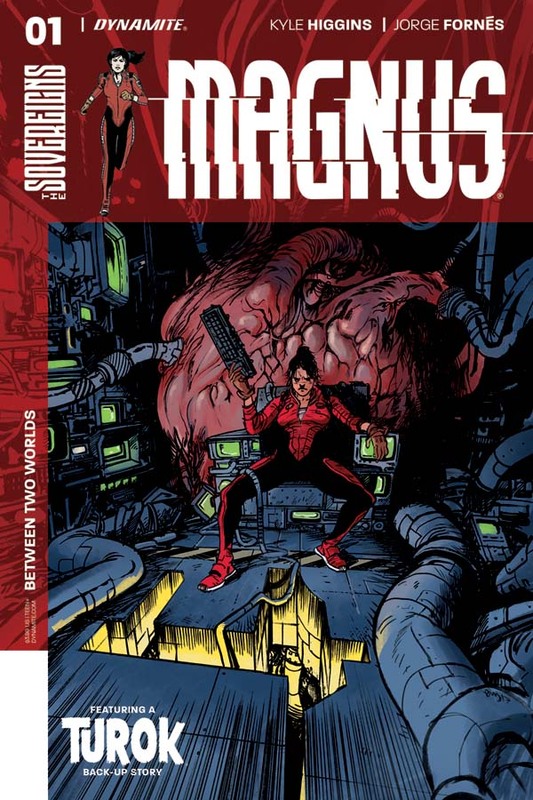 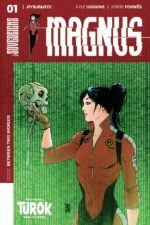 With a debut issue set for release in June, Magnus #1 includes a Turok back-up story by Chuck Wendig (Hyperion) and Álvaro Sarraseca (Witchblade), a continuation of the serial in The Sovereigns. The debut issue of Magnus features a wide selection of cover variants, featuring Giuseppe Camuncoli (The Amazing Spider-Man), interior artist Jorge Fornés, Aaron Conley (Rocket Raccoon & Groot), and Daniel Warren Johnson (Man-Thing). 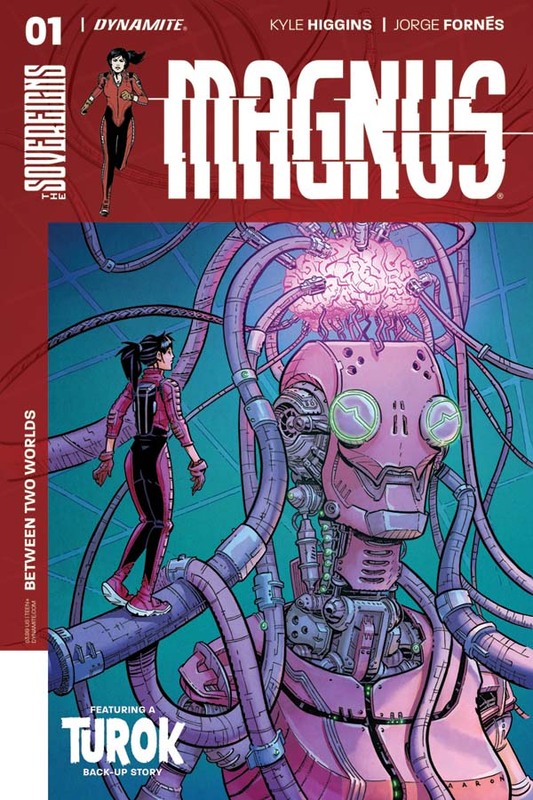 Magnus #1 will be solicited in the April 2017 Previews catalog and slated for release in June.